Nigerian news channel Channels 24 has officially launched its service in the UK, where it is available on Sky channel 575, promising further expansion on other UK TV platforms. Channels 24 has announced that its launch on Sky will be followed by launches on Freesat and Virgin Media. 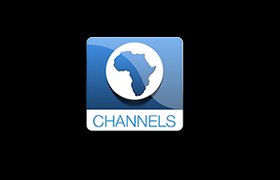 Channels 24 brings African and international news and current affairs content – politics, business, sports, entertainment, lifestyle and health – to viewers in the UK. The launch is part of Channels Television’s strategic plan to move the company’s regional broadcasting to a global level. The channel first launched on Sky on 9th April, as reported by a516digital, but the broadcaster officially celebrated its UK launch at an event at Hotel Cafe Royal in London last weekend.